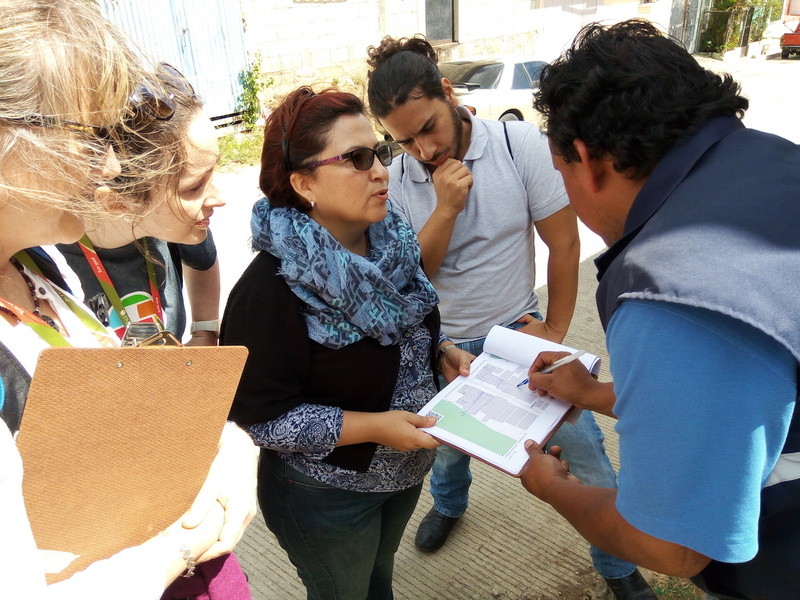 Faculty and students at the George Washington University (GWU), including AGS President Marie Price, teamed up with the Pan American Development Foundation (PADF) this March to bring digital mapping tools to vulnerable communities in Guatemala. The goal is to make life-saving information available to local planners, humanitarian aid workers and the community members themselves. “Many urban informal communities are literally not on the map, so when emergencies happen they are hard to assist,” says Marie Price. “Mapping and surveying these areas improve our understanding of life threatening conditions and identify households that face the greatest risk.” Price worked with colleague Dr. Nuala Cowan, who is an Assistant Professor at GWU and a leader in using open source data and tools for humanitarian purposes. Geography Masters students Andrii Berdnyk and Sudie Brown developed workshops and surveys with PADF staff as part of their capstone project. These materials were shared with colleagues at the University of Rafael Landívar as well as with community members from Ciudad Satélite in the Municipality of Mixco. The project began with students at the George Washington University remotely tracing buildings and roads in Ciudad Satélite from satellite imagery on to Open Street Map. 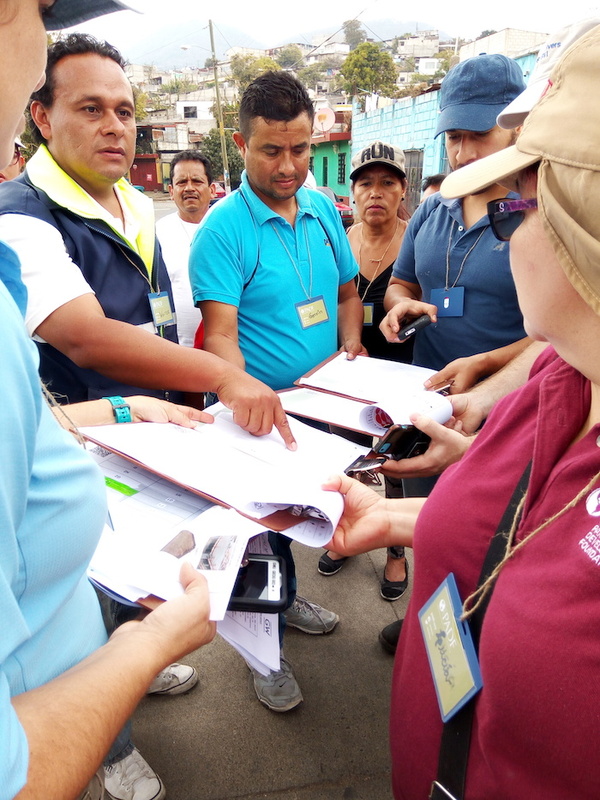 When in Guatemala, the research team worked with community members to validate and correct the maps using field papers. Community members conducted surveys on the status of buildings as well as talked to household members to understand the threats faced by residents and the resources that they had to combat them. The maps and information were then shared with the community for planning purposes. By the end of the week, a community that was virtually invisible on Google Maps was fully mapped on Open Street Map (OSM). 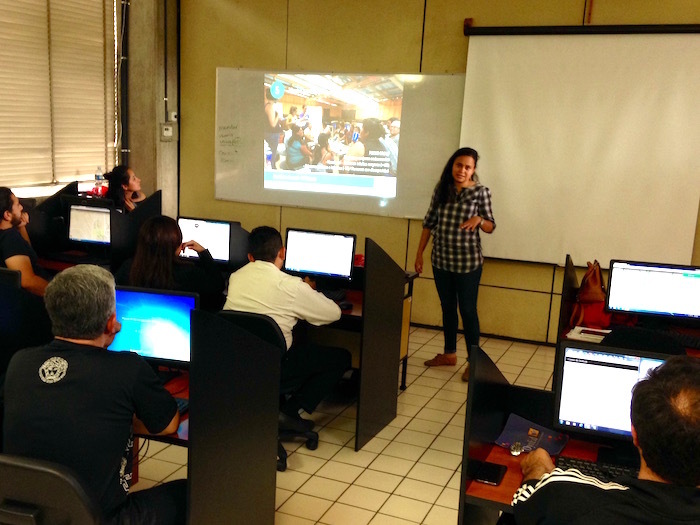 In addition, the research team worked with students and faculty at Rafael Landívar University to trace buildings and roads using OSM, to use mobile phone-based survey tools to collect information on household vulnerability, infrastructure and disaster preparedness. For more information about PADF’s mapping projects, visit padf.org/mapping. See the original PADF blog post and the post in the American Geographical Society newsletter.